'Proper fish and chips' may be the core of the menu but there are plenty of alternatives in this stylish, harbourside location. What better location for a seafood-focused restaurant than right next to pretty Newhaven harbour? Housed in the harbour's old fishmarket building, this venture is from the same stable as upscale restaurant Ondine and respected fishmongers Welch’s, so the benchmark is high. 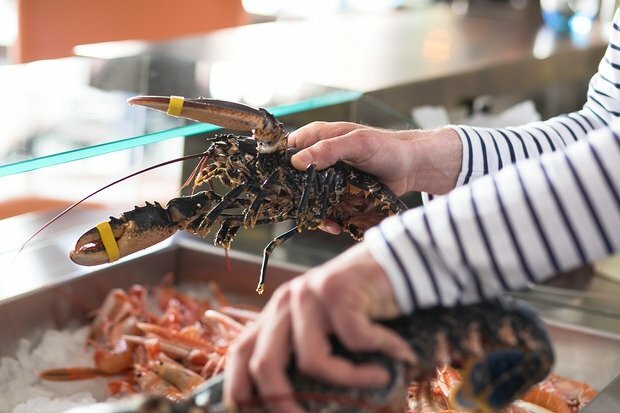 There may be a fryer on one side of the vast space servicing takeaway customers but the menu in the separate dining area has loftier ambitions, showcasing Northumberland oysters, Dunbar lobster and Scrabster crab. The smoked haddock chowder is excellent, packed with fish and leeks and not simply relying on lashings of cream to provide flavour. Cod, sole, monkfish and haddock variants of fish and chips are available and those with an appetite can upgrade to a 'whale-sized' fillet. The drinks list is impressive, particularly for white wine and cocktails, and service is attentive and friendly.